Flowers are an effortless and elegant way to enhance lobbies, reception areas or individual offices - creating a welcoming oasis for your clients, guests and staff from the moment they enter the room. We offer a variety of arrangements, vases and bouquets in all shapes and sizes. 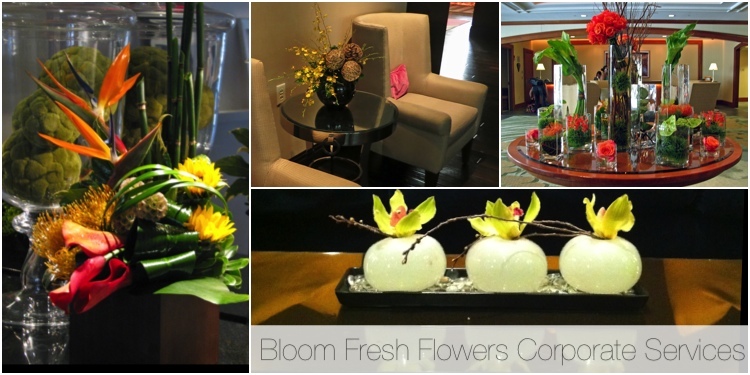 Whether your workplace represents professionalism, creativity or luxury - Bloom Fresh Flowers design staff will work with you to make sure that your weekly flower delivery reflects your style. Please call Stephen at 703-299-9929 to set up a free consultation. You will discuss your vision and Stephen will create a customized plan that meets your needs and fits your budget. Our team will make sure your office is always decorated with the season’s best - from refreshing and bright sunflowers in the summer to locally grown flowers in springtime and festive poinsettia plants during the holiday season. Your weekly arrangements are carefully assembled by our floral designers and delivered promptly to your office. Your delivery will show up on time and in perfect condition.